So When Are You Ready For Guests? 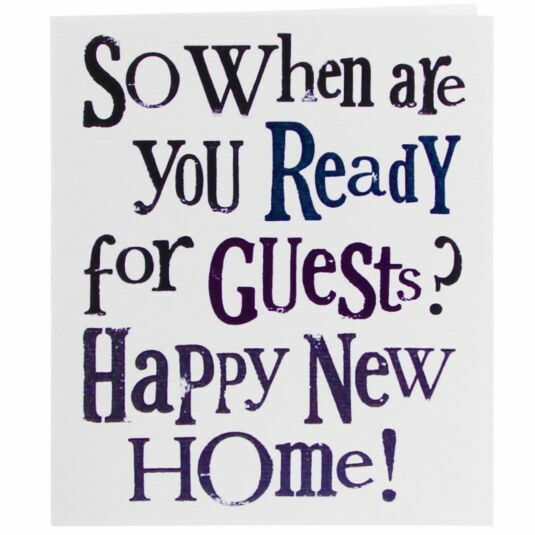 This fun card from the Bright Side is a great way to wish someone good luck when moving into a new home. It spreads good wishes ("Happy New Home!") but also cheekily reminds them of the most important thing: when you can make your visit!